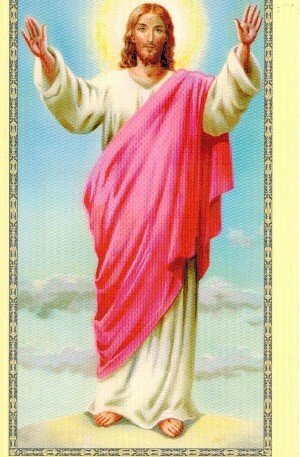 prayer on back paper card stock The Beatitudes Blessed are the poor in spirit, for theirs is the kingdom of heaven. Blessed are the meek, for they will inherit the land. Blessed are they that mourn, for they will be comforted. Blessed are they who hunger and thirst for righteousness for they will be satisfied. Blessed are the merciful, for they will be shown mercy. Blessed are the clean of heart, for they will see God. Blessed are the peacemakers, for they will be called children of God. Blessed are they who are persecuted for the sake of righteousness, for theirs is the kingdom of heaven. Blessed are you when men reproach you, and persecute you, and speaking falsely, say all manner of evil against you, for my sake. size: 4" by 3"